Identification. The name Norge ("the Northern Way") originally pertained to a region of the country before political consolidation under Harald the Fair-Haired around 900 C.E. In later use, the country's name indicates its location on the northern periphery of Europe. 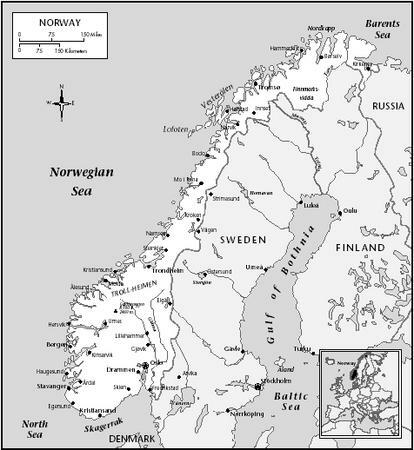 Some of the northerly sections of the country are home to at least two main groups (coastal and mountain) of an indigenous population of Sami (previously called Lapps) with a separate language and distinct cultural traditions. Some groups of Sami practice reindeer nomadism and range across northern Sweden and Finland. A smaller Gypsy population also was part of the otherwise homogeneous population. For humanitarian reasons, in the late twentieth century, the country welcomed asylum seekers and immigrants from other countries. Norwegians have an acute sense of identity fostered by a nineteenth century national romantic movement and by the country's emergence in 1905 as an independent constitutional monarchy. The small scale of Norwegian society, with a population of little more than four million, also promotes cultural sharing. Location and Geography. Norway is situated on the western side of the Scandinavian peninsula, which it shares with its eastern neighbor, Sweden. The North Sea borders the country on the west, and the Barent Sea lies to the north. Spitsbergen, a group of islands four hundred miles to the north in the Arctic Ocean, is a Norwegian dependency. The country also shares borders with Finland and Russia in its northern regions. A long and narrow landmass, Norway extends more than 1,100 miles from north to south and varies in width between 270 miles and 4 miles. One-third of the country lies north of the Arctic Circle. The dominant feature of the topography is a backbone of mountains extending down the Scandinavian peninsula, with fjords, or long inlets of the sea, penetrating inland on the west and south. With a total area of 125,181 square miles (324,200 square kilometers), much of the country is dominated by rugged mountainous or coastal landscapes that have made tourism an important industry. Only about 3 percent of the land area is suitable for raising crops, and nearly half of that land is situated in the east, near Oslo, the capital, where broad, open valleys produce grain and root crops. The west coast traditionally has supported smaller farms perched along the fjords or nestled in mountain valleys. Farming and fishing have always been major occupations in this region. Trondheim, a medieval cathedral city on the west coast, also has an agricultural hinterland. The northern region constitutes the largest part of the country, with 35 percent of the land area and only 12 percent of the population. Fishing has been the major traditional occupation in this region. Oslo, which was called Kristiania before the nation gained independence, has long been associated with major governmental functions. Demography. In January 2000, the total population was 4,478,497. Approximately thirty thousand to forty thousand of those residents self-identify as Sami. The first census which was taken in 1769, recorded 723,618 residents. For most of the nineteenth century, the population grew at an average annual rate of 1.7 percent in spite of substantial migration to the United States during the second half of that century. The post–World War II growth rate declined to about 0.2 percent annually. came from Sweden and Denmark, with the third largest contingent coming from Pakistan. In 1999, the population grew by 0.7 percent, the largest annual rate of growth since the first half of the 1950s. This unusual growth is accounted for by the arrival of 19,300 persons from abroad. Approximately 67,200 persons with a political refugee background lived in Norway at the beginning of 1999. Among the recent refugees, the largest groups are from Bosnia (11,000), Vietnam (10,500), and Iran (8,100). Refugees are concentrated in and around the largest cities, with approximately one-third living in the Oslo area. Linguistic Affiliation. The major languages of the indigenous minority and majority populations are Samisk (Lappish), a Finnic language, and two official Norwegian languages, Bokmål and Nynorsk, both of which are Germanic languages. Bokmål, or "book language," is derived from the Danish-influenced Norwegian used in the eastern region. A product of the national romantic movement, Nynorsk, or "New Norwegian," was constructed in the nineteenth century from peasant dialects to create a genuinely Norwegian written language. Formulated by Ivar Aasen, a self-taught linguist from the west coast, Nynorsk was consciously constructed to reveal a clear relationship to Old Norse, linking contemporary Norway with the Viking age. Symbolism. The flag, folk costumes, the land (or landscape), and the home are the major symbols of national unity. The flag (a red background with blue stripes outlined in white) is owned and flown not only by public agencies but by many private individuals. On Constitution Day (17 May), citizens appear at public celebrations carrying small flags and wearing red, white, and blue streamers pinned to their clothing. In the year 2000, there were thirteen official flag days. Folk or national costumes (bunad) are owned by large numbers of both men and women. Based on local traditional peasant apparel, women's costumes include elaborate skirts, blouses, jackets, stockings, and shoes adorned with silver pins and decorations. Because of increased affluence in recent decades, more individuals own costumes, which are considered correct attire for any festive or formal occasion. The design and colors of the costumes vary according to locality so that each large fjord or valley has a distinctive costume. Fostered by national romanticism, folk costumes are partially constructed traditions, with some historically authentic elements and some new elements. The costume for the city of Bergen, for example, was designed in 1956. The national anthem affirms a love for the land and the importance of the home as symbols of nationhood. Festive days in this home-centered society often feature a public celebration followed by gatherings of families and relatives in people's homes. Entertaining is done at home, not at restaurants or bars. Homes are comfortable refuges and are decorated to express the identity of the family. Because there is less geographic mobility than is the case in some other countries, family members and relatives tend to live in the same region over a number of generations and identify with the local area. This attachment to place is also apparent in people's relationship to nature. Half the nation's families have access to nearby ski huts, cabins, or boats, and virtually everyone engages in outdoor pursuits such as skiing, hiking, and boating. In a variety of ways, Norwegians aim to preserve rather than transform the local natural landscape. At the same time, they attempt to preserve the cultural traditions of the locality through numerous folk museums and other specialized heritage organizations. Emergence of the Nation. Norway claims the heritage of early Norse seafarers, raiders, colonizers, explorers, and merchants for whom the "Viking Age" (793 to 1050 C.E. ) was named. In the ninth century Harald Fairhair became the first king of all of Norway, consolidating smaller kingdoms through alliance and conquest. Harald's descendant, Olaf Tryggvesson (Olaf I), converted to Christianity while in England and came to Norway in 995 to force conversion of the country from the Norse religion. Killed in 1030 at the Battle of Stiklestad, Olaf II (Saint Olaf) was the first king to organize an administration for church and state. His brother, Harald III, was killed invading England in 1066. The Black Death devastated the country in 1349–1350, killing at least one-third of the population. A weakened Norway was politically joined with Sweden and Denmark at the Union of Kalmar, in 1397. Danish kings ruled Norway until 1814. The emergence of the nation-state can be traced to the development of a national culture, then to that of a national identity, and finally to the political events that led to the country's final emergence as an independent nation in 1905. The Napoleonic Wars resulted in the dissolution of the union between Denmark and Norway in 1814, the year in which the Norwegian constitution was established. Norway had been a province of Denmark for nearly four hundred years before it was ceded to Sweden. The union with Sweden was dissolved in 1905. 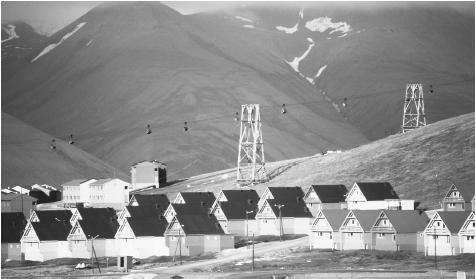 A collection of houses built for coal miners and painted colorful tones to reduce suicide rates in the long, dark winters of Spitsbergen. including folktales, architecture, customs, clothing, mythology, music, and peasant dialects. From a national romantic perspective, this information helped make the case for a distinct Norwegian land, culture, and history quite different from those of other Nordic countries. Rural culture became identified as Norwegian culture, a culture that could be traced back to Viking times. National Identity. The idea of a distinct Norwegian culture piqued the interest of writers, painters, dramatists, musicians, and religious leaders. The culture of the rural peasants was not the culture of the intellectual elite, but the elites reinterpreted and identified with that tradition. By the middle of the nineteenth century, schoolbooks reflected the theme of a distinct, rural Norwegian culture, as did a variety of popular journals. Writers conveyed the notion that everything of true value was found close to home, in the everyday life of simple people. In the second half of the century, voluntary organizations that promoted popular enlightenment helped shape the consciousness of a common culture and history. In the national dialogues that followed, a national identity was formed, contributing to the eventual dissolution of the union with Sweden. Ethnic Relations. Relations between the majority population and the indigenous Sami peoples have been problematic on occasion. In 1999, the United Nations Human Rights Commission asked Norway to explain the delay in giving the Sami population self-determination. Defining the population has been difficult in that many people in that population who were not engaged in reindeer nomadism chose or felt compelled to assimilate into mainstream Norwegian culture. The establishment in Karasjok, north Norway, of a Sami parliament to coordinate relations with local, regional, and national government offices has helped draw attention to the needs of that population. The Sami parliament and the governments of Norway, Sweden, and Finland are beginning to coordinate Sami issues across national boundaries. Because immigration has been tightly controlled, immigrants from non-Scandinavian countries have not constituted a large or visible minority until recently. In the 1980s, as the attitude toward asylum seekers became somewhat less sympathetic, survey data showed that about half the respondents felt that those newcomers were given too much special treatment. Surveys have shown that outside of business dealings, relatively few Norwegians have contact with the immigrant populations. Those who have had informal contact with immigrants tend to be sympathetic and positive toward them, but those who have not had such contact tend to be less positive. In a survey in 2000, 64 percent of residents agreed that the country should continue to take in as many immigrants and asylum seekers as it does currently. Over 90 percent of the surveyed population agreed that immigrants should have the same job opportunities as native residents, affirming a basic belief in equality of opportunity. The national culture is informed by an anti-urban bias that idealizes the natural environment and rural life. Regional policies are aimed at providing a high level of services and amenities in less populated regions to encourage people to remain there rather than migrate to urban centers. Cities such as Oslo, Bergen, and Trondheim have low population densities since they incorporate substantial areas of undeveloped "natural" forests within their boundaries that are used by the residents for recreation. In Oslo, streetcars run through the city to the edge of the forest, where they empty their cargo of hikers and skiers. While all the cities have parks for relaxation and enjoyment, those manicured urban environments are not as culturally important as the wilder and less regulated woods, mountains, and seashores. A walk in the woods on Sunday morning, either on a challenging trail or on the "family path" suitable for baby buggies and wheelchairs, is considered almost essential for coping with urban stress. In the winter, these paths become cross-country ski trails. Cities, thus, attempt to incorporate natural areas to counterbalance the built environment. Similarly, residential dwellings usually have their own mode of indoor-outdoor living. Single-family homes and apartment houses usually have a deck, balcony, or porch that gives residents convenient access to the outdoors. While many older residences have straight sidewalks and broad, open lawns, many newer houses are nestled into their own miniature woods of closely planted trees and evergreen shrubs. The distinction between the built environment and the natural environment is often blurred as these two areas are made to interpenetrate. Except perhaps for Oslo's City Hall, which serves as a landmark for ships coming up the fjord to the harbor, government architecture is usually less awe-inspiring and intimidating than inviting and approachable. The Storting, or parliament hall, in Oslo is built to a human scale and is embedded within a busy downtown area with considerable foot traffic. The Royal Palace, which is situated on a small hill overlooking a busy street, is the destination for thousands of cheerful marchers in the Constitution Day parade as they greet and are greeted by the royal family waving from the balcony. Seating in parks and public places is not conducive to conversation among strangers. Acquaintances can find seating next to each other, but not in an arrangement that encourages eye contact and conversation. This configuration allows people to use public space without drawing attention to themselves or invading the personal space of others. In homes, in contrast, furniture often is arranged to encourage conversation among family members and friends. Homes should be furnished to reflect the good taste of their owners, often with the clean simplicity of Scandinavian design, using natural materials such as wood and wool. 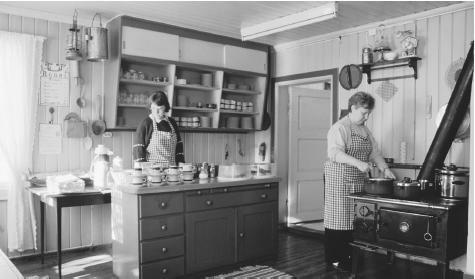 Women work in a Rabol, a traditional farm kitchen. Hafjell, Norway. and is much lower than recommended by the Nutritional Council. The popularity of potatoes has declined, while that of rice and pasta has gone up. Cereal consumption is stable. Norway has continued to hunt minke whales along its coast. Whale meat is eaten as steaks or in a stew. Food Customs at Ceremonial Occasions. For Constitution Day, many families traditionally eat a meal of flat bread, thinly sliced dried meats, and milk porridge, with beer or aquavit as a beverage. Christmas meal traditions vary by region and may include roast pork, other meat, or lutefisk. On festive occasions, both restaurants and family meals may feature a kaldt bord with a large array of cold meats, cheeses, shrimp, smoked or pickled fish, salads, jams, and soft and crisp breads. Cloudberries and lingonberries, both of which grow wild on mountain plateaus, are particular favorites. Basic Economy. The country is highly dependent on international trade for manufactured consumer goods but has a trade surplus. Most employment is in highly specialized services and manufacturing, with only a small workforce in the traditional occupations of forestry, farming, and fishing. In a labor force of more than two million workers, approximately 72 percent are in services, 23 percent work in industry, and 5 percent engage in agriculture, forestry, and fishing. The currency is the Krone (Crown). Land Tenure and Property. The allocation of farmland is regulated carefully to encourage the continuity of ownership within the family line. Farms are not divided among heirs, thus avoiding the fragmentation of farms into small, economically nonviable units. The lineal descendants of a farmer have the first right to purchase a farm. Conflicts over farm boundaries and the surreptitious movement of boundary stones are part of the folklore of most agricultural districts. Hikers have the right to walk on unplanted farmland. Commercial Activities. Firms produce, package, distribute, and sell food products, beverages, textiles, clothing, footwear, wood products, furniture, and chemicals for domestic consumption. Printing, publishing, and media production are important enterprises for a highly literate nation that is a world leader in the consumption of newspapers, magazines, and books per capita. Major Industries. As a consequence of the discovery and exploitation of North Sea oil in the 1970s, Norway has become the world's second largest exporter of oil and natural gas. Much of this production is managed by Statoil, a government enterprise. Since 1993 the country has exported hydroelectricity, which it produces in excess of domestic needs. Although shipbuilding has declined, Norway has one of the leading merchant fleets, with approximately 762 ships. Other exports include transportation equipment, electrometallurgical products, electrochemical products (processed with hydroelectric power), paper and pulp from the extensive forests, and fish, increasingly produced in fish farms in coastal waters. For the home market, the country produces equipment, furniture, and textiles. About half the manufacturing firms are located along the Oslo fjord. Livestock are the most important products of the subsidized agricultural sector. Trade. Norway exports goods to its main trading partners: the European Union, Sweden, Germany, the United Kingdom, Netherlands, France, and the United States. Exports include petroleum and natural gas, hydroelectric power, metals, chemicals, paper pulp, and fish. The United States is a significant importer of smoked salmon. Manufactured goods, machinery, and chemicals are imported from the trading partners. Division of Labor. Government, labor, and management are integrated into a centralized industrial planning system. Since the 1970s, the principle of codetermination has meant that labor and management increasingly share the determination of daily operations and longer-term planning. Workers typically have a great deal of autonomy. As a consequence of this trend in industrial democracy, emphasis is placed on training and the upgrading of workers' skills. In contrast to countries where labor is cheap and training is limited, decision making frequently is delegated to lower-level workers. The division of labor is based more on skills than on status and seniority. Classes and Castes. The ethos of egalitarianism is reflected in the highly progressive marginal tax rate on personal incomes. While income differences are relatively flat, there is a small proportion of extremely rich owners and managers of merchant fleets. Although the affluent are likely to own ski huts in the mountains, their huts may not be better furnished than those of less affluent workers. Conspicuous consumption is not admired. Leisure time is an important resource for industrial workers, who in 2002 will have five weeks of vacation annually. Counting national holidays, this brings the number of working hours in the year down to 1,703 for industrial workers. Immigrant populations have tended to move into some of the less desirable and less well-paid occupations such as cleaners and fast food workers. Symbols of Social Stratification. Affluent individuals signal their wealth by driving a luxury car, wearing expensive clothing, and taking expensive vacations. They may have a posh Oslo accent. However, these differences in possessions and advantages do not symbolize differences in moral worth. The author Aksel Sandemose, in En Flyktning krysser sitt spor (1953), described the law of the fictional village of Jante, which warns that "you should not believe that you are better than we are." The Law of Jante expresses a widespread cultural belief in egalitarianism. Government. Norway is a constitutional monarchy that divides responsibility between the parliament (Storting) and the King's Council of State, which consists of a prime minister and other ministers of state. The Storting, which consists of 165 representatives, is the supreme authority and controls finances. Representatives are elected by direct vote for a four-year term. One-quarter of the representatives serve in the upper chamber (Lagting), and the rest form the lower chamber (Odelsting). Local government is represented by 450 municipalities in eighteen counties. Leadership and Political Officials. Leaders are supposed to be articulate and dedicated spokespersons for the policies of their parties. The major parties, listed roughly in order of their popularity in recent elections, are the Norwegian Labor Party (Arbeiderpartiet), a socialist party affiliated with labor unions; the Progress Party (Fremskrittspartiet), a nationalistic party; the Conservative Party ( Høyre ); the Christian People's Party (Kristelig Folkepartiet), which supports the use of the principles of Christianity in politics; the Center Party (Senterpartiet), which originally focused on agrarian issues; the Socialist Left Party (Sosialistisk Venstrepartiet); and the Liberal Party (Venstre), a reform party. Coalition governments that rely on the cooperation of two or more parties are not uncommon. Party leaders receive considerable media attention and are supposed to be accessible to the electorate. They are not likely to respond to offers of gifts or special privileges. 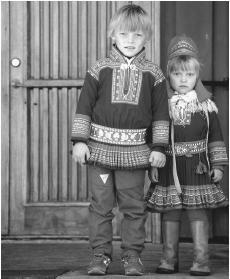 A young Lapland boy and girl wearing traditional dress in Kautokeino. Each large fjord or valley has a distinctive costume. courts (Byrett), the High Court (Lagmannsrett) with six jurisdictions in the nation; and the Supreme Court (Høyesterett). Each municipality has a conciliation council (Forliksråd), where civil cases go first for mediation and possible out-of-court settlement. If this effort fails, the case can be taken to the district or city court. An "ombud" system has been established to hear complaints about actions by government agencies and private firms. The crime rate is about ten reported crimes per hundred thousand population. While the rate of crimes against persons is increasing, most crimes involve property. Military Activity. National military service is required, with the option of community service for conscientious objectors. The nation has an army, navy, and air force; is a member of the North Atlantic Treaty Organization (NATO); and participates in peacekeeping operations. Norway spends 3 percent of the gross national product on defense. After 1945, the National Insurance Scheme was developed to manage and allocate resources for health, old age, disabilities, widows, widowers, children, and single parents. Approximately 15 percent of government expenditures are for health services. Nongovernmental organizations play an important role in supplementing this welfare system in partnership with the government. Special attention is given to organizations that support disadvantaged citizens through subsidies granted by local governments. Approximately 62 percent of the population belonged to at least one voluntary organization in 1995. Historically, voluntary organizations were first developed in the middle of the nineteenth century as agents of change to support the social movements that were sweeping the country. Voluntary organizational life has been based on unpaid participation, personal membership, and commitment to egalitarian democratic principles. While participation in religious and temperance organizations has declined, membership has increased in organizations devoted to recreation and outdoor sports. Division of Labor by Gender. In the contemporary period, Norway has followed an ideology, if not always the practice, of gender neutrality in access to economic, political, social, and religious roles. Women entered the workforce in larger numbers during the 1970s but continued to be involved in unpaid work to a greater degree than were men. There are few women in the upper levels of management of businesses and industries. According to the United Nations Development Programme, which created a "Gender-Related Development Index" to measure achievements in increased life expectancy, educational attainment, and income equality for men and women in 146 countries, Norway ranked second behind Canada and ahead of Sweden. The Relative Status of Women and Men. The cause of gender equality was advanced by the women's movement of the 1960s. At that time, nine of ten women with small children did not work outside the home. Women began to enter the labor force in greater numbers with the increase in industrialization. Now nearly eight of ten women are employed outside the home. Sod roofs of old houses in Roros, a mining town founded in 1646.
higher education in larger numbers, and constituted approximately 55 percent of the students at universities in 2000. In law and administration, men and women are accorded equality, with parental leaves available for both. Many of the roles traditionally reserved for men, such as the military and politics, are now integrated. In 1981, at age forty-one, Dr. Gro Harlem Brundtland first served as the prime minister, the youngest person and the first woman to do so. Several political parties follow the "sixty/ forty" rule in establishing committees, with women constituting at least 40 percent of the membership. The armed services are sexually integrated, although the majority of service personnel are men. In 1998, the commander of a coastal defense submarine was a woman, with a crew of twenty men and one other woman. Some women's organizations regard this as tokenism and state that when the critical mass of 30 percent women is achieved, they will be pleased with the progress of integration of the armed forces. Marriage. Marriages are supposed to be romantic love matches between two individuals with similar values and perspectives. Marrying for economic, social, or political reasons would seem improper to most people. When King Harald, then the crown prince, wished to marry a commoner rather than seek a bride among the royal families of Europe, the nation approved. Currently, 38 percent of residents are married, compared with 47 percent in 1978. The divorce rate has doubled in the last twenty years. In this generation, married women have worked for pay outside the household to a greater degree than was the case in earlier generations. Domestic Unit. Currently, families usually consist of a husband, a wife, and no more than two children. Single-parent families are increasingly common. Two major urban family cultures, with a rural variant, exist. These cultures include the urban middle-class family, which may focus on a fair exchange of services and an equal sharing of tasks, and the urban working-class family, which may focus on the common good of the family rather than the needs of the individual members. Urban families often create symbolic boundaries between themselves and others; internally, they value "peace and quiet" as a theme of family life. The typical rural farm family focuses on maintaining a committed, harmonious unit. Divorce seems to be more common in the first type of family. Inheritance. At marriage all material goods become joint property. A couple may enter into a contract specifying that, in case of divorce, each will retain the goods they brought to the marriage. This may be important in the case of farms and other significant property. Surviving spouses have a right to continue living in the family house until death. Children inherit equally from the parents. Kin Groups. Three-generation family households exist most commonly in rural areas. Parents and children often choose to live close to each other. Relatives on both sides of a marriage are invited for life-crisis ceremonies such as baptism, confirmation, marriage, and death. Infant Care. With the institutionalization of parental leave from employment, both parents can be available to provide care for infants. Traditionally, infants were regarded as defenseless and in need of constant care. Infants sleep in separate beds or cribs, either in their parents' bedroom or in a separate room. Breastfeeding on demand is now usual, but in previous generations was scheduled about every four hours. Fresh air is considered important and often babies are allowed to sleep outdoors in a pram. Stimulation, exploration, and play, both indoors and outdoors, are now emphasized. Some mothers carry infants close to their breast in carrying slings, but the use of prams is more common. Many parents use day care facilities for one to six year olds, although this form of institutional care for the youngest ages is controversial. For older toddlers, the social experience of interacting with others in day care facilities is highly valued. Child Rearing and Education. The national culture tends to be extremely child-centered. A national welfare system for children was enacted as early as 1896, and in 1981, a national ombudsperson for children was established. Ideally, children should be cooperative and independent. However, socialization tends to be permissive since children are not taught boundary-setting rules and manners early. Childhood lasts longer than it does in many European countries, with adolescence not ending before graduation from high school. Since numerous mothers are employed, many children are socialized in child care facilities, either privately or through the local authority. Paid babysitters, usually young girls, may provide child care in cities when grandmothers are not available. Confirmation as a member of the church is an important rite of passage. The ceremony is followed by a party to which neighbors and relatives are invited. Girls usually are given a bunad, or folk costume. In traditional rural society, children were transformed into responsible adults, participating in adult economic activities, without going through a culturally recognized stage of adolescence. In the late twentieth century, adolescence became much more important for developing an identity separate from one's parents. Higher Education. Vocational training or higher education for the majority of citizens is emphasized. After ten years of compulsory schooling, students may go on to an upper secondary school and then to one of the four universities or many colleges. Education accounts for approximately 14 percent of government expenditures. Residents tend to be egalitarian, private, and noncompetitive. Gender equality is observed in most social settings. People rarely use the polite or formal form of address; the use of the informal pronoun for personal address is almost universal. Independence and self-sufficiency are valued. Being indebted by borrowing or receiving favors makes people uncomfortable. Individuals generally do not call attention to themselves through loud speech or flamboyant behavior. Personal space is respected, and so individuals stand well apart from each other when conversing. Punctuality is expected both in business and in social life. People may be reserved among strangers but are warm and friendly once a relationship has been established. One should not inquire about personal issues unless one is well acquainted with a person. Respect for each individual's dignity is expected. Competition is downplayed in most settings, Even the victors in sports contests are supposed to be humble and not obviously proud. After the 1994 Winter Olympics in Lillehammer, King Harald worried that perhaps the nation had not been a good host since its athletes had won so many medals. 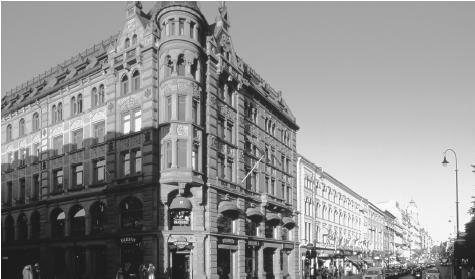 A classical-style building along Karl Johans Gate in downtown Oslo, Norway. London in 994 C.E. Soon afterward, King Olav brought Christianity to his homeland, converting first the leaders and later the farmers. In 1536, the Reformation came to the area, with the consequence that a greater emphasis was placed on personal faith. In 1814, the Evangelical Lutheran religion was named the official religion of the state, but the constitution also guaranteed freedom of religion. The pietist movement, which was particularly strong in the country in the late eighteenth and early nineteenth centuries, posed an alternative to the state church and contributed to an individual sense of religious commitment unmediated by the clergy. The state church subscribes to a belief in God, Jesus Christ, and the Holy Ghost. The main religious holidays celebrate belief in the birth, death, and resurrection of Christ. Other religious groups such as Roman Catholics, Pentecostalists, Seventh Day Adventists, Baptists, and Methodists, receive state subsidies. In recent years, immigrant populations have brought Islam to the nation. Religious Practitioners. The king is the head of the state church, which employs a system of bishops and priests in the administrative structure. Local priests hold religious services and perform baptisms, confirmations, weddings, and funerals. The king appointed the first woman priest in 1961 and the first woman bishop in 1993. More than seventy nationally organized Christian voluntary organizations reinforce religious beliefs and practices. Those organizations also carry out missionary work at home and abroad and help with youth work and welfare. Rituals and Holy Places. During the medieval period, the holy shrine of Saint Olav in the cathedral at Trondheim was a destination for pilgrims. In the contemporary period, 87 percent of the population belongs to the state church. While about seven million church visits are recorded annually, many people are more likely to be found on ski slopes or hiking trails than in church on Sunday. Religious services in the state church occur weekly and on the major religious holidays, including Holy Thursday, Good Friday, Easter, Ascension, and Whitmonday. Death and the Afterlife. According to the doctrine of the state church, souls reside in heaven with Jesus after death. After the funeral, the body of the deceased is cremated or interred in a graveyard, usually adjacent to a church. 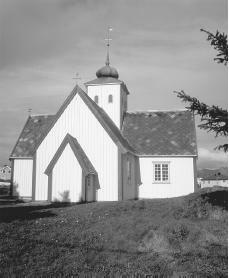 A church in Bud, a fishing village near Molde. The constitution guarantees freedom of religion. medical beliefs in the eighteenth and nineteenth centuries. Currently, there are over fifteen thousand doctors and nearly sixty thousand nurses. The compulsory National Insurance Scheme provides free hospital care and modest charges for medicines and primary care. Approximately 15 percent of government expenditures go for health care. The major holidays are New Year's Day (1 January), Labor Day (1 May), Constitution Day (17 May), Christmas (25 December), and Boxing Day (26 December). Labor Day is celebrated by the labor unions, with parades in the larger towns. The most important celebration of nationhood is on Constitution Day, which is an occasion for massive public parades by voluntary organizations, bands, unions, schools, and other civic groups. Christmas and Boxing Day are focused on family visits and gift giving. Support for the Arts. Because of the small population base, the artistic community is challenged to earn a living. Government subsidies coordinated by thirty nationwide artists' organizations have provided a particularly Norwegian solution. Professional artists receive a minimum income until retirement. Through a variety of cooperative arrangements with counties and municipalities, the government has sponsored the creation of touring cultural organizations, bringing concerts, theater, and art exhibitions to smaller towns. Literature. The Icelandic sagas of Snorri Sturlusson (1178–1241) often are considered the beginning of Norwegian literature, followed by The King's Mirror, a thirteenth century work. Pedar Clausson Friis (1545–1614) wrote descriptive works about the country and translated the sagas into Norwegian. The Trumpet of the Northland (1700) by Petter Dass details life in Norway. In the early eighteenth century, Ludvig Holberg wrote in a variety of forms, including satire and comedy. Henrik Wergeland (1808–1845) inspired the national romantic movement. As their contribution to the discovery of a national culture, Peter Asbjørnsen and Jørgen Moe collected the Norwegian Folktales (1841–1844). In the nineteenth century, the dominant figure was Henrik Ibsen (1828–1906), whose psychological dramas remain important in world literature. Knut Hamsun wrote powerful novels in the twentieth century. Later writers include Sigurd Hoel, Nordal Grieg, Tarjei Vesaas, and the Nobel Prize winner Sigrid Undset. Significant postwar writers include Jens Bjørneboe, Bjorg Vik, and Kjartan Flagstad. Graphic Arts. Painters in the nineteenth century helped establish a national romantic vision. Edvard Munch's (1863–1944) symbolist works have been influential internationally. In sculpture, Gustav Vigeland's Frogner Park sculptures are well known. Pottery, glass, jewelry, metalsmithing, and textiles are central to Scandinavian design. Performance Arts. The nation's greatest musician, Edvard Grieg (1843–1907), was inspired by the folk themes of his homeland, as was the violinist Ole Bull. Many cities have festivals for the performing arts. Perhaps the most famous is Bergen's annual festival featuring music, drama, and dance. Molde's jazz festival is notable. The National Theater and National Opera in Oslo are important institutions. The universities at Oslo, Bergen, Trondheim, and Tromso have extensive science and social science departments. Many of the regional colleges are strong in one or both areas. A variety of research institutes focus on applied knowledge, in fields as diverse as fish farming and petroleum extraction. Aarebrot, Frank. "Norway: Center and Periphery in a Peripheral State." In Stein Rokkan and Derek Urwin, eds., The Politics of Territorial Identity: Studies in European Regionalism, 1982. Alvestad, Marit, and Ingrid Pramling Samuelsson. "A Comparison of the National Preschool Curricula in Norway and Sweden." Early Childhood Research and Practice 1 (2): 1999. Anderson, Myrdene. "Transformations of Centre and Periphery for the Saami in Norway." Anthropologica 29 (2): 109-130, 1987. Burgess, J. Peter. Ivar Aasen's Logic of Nation: Toward a Philosophy of Culture, 1999. Caulkins, Douglas. "Norwegians: Cooperative Individualists." In Carol Ember, Melvin Ember, and David Levinson, eds., Portraits of Culture: Ethnographic Originals, 1994. ——. "Are Norwegian Voluntary Organizations Homogeneous Moralnets? Reflections on Naroll's Selection of Norway as a Model Society." Cross-Cultural Research 29 (1): 43–57, 1995. Christiansen, Peter Munk, and Hilmar Rommetvedt. "From Corporatism to Lobbyism: Parliaments, Excecutives, and Organized Interests in Denmark and Norway." Scandinavian Political Studies 22 (3): 195–220, 1999. Dobbin, Frank, and Terry Boychuk. "National Employment Systems and Job Autonomy: Why Job Autonomy Is High in the Nordic Countries and Low in the United States, Canada, and Australia." Organizational Studies 20 (2): 257–291, 1999. Fitzhugh, William, and Elisabeth I. Ward. Vikings: The North Atlantic Saga , 2000. Grønlund, Inga Lena. 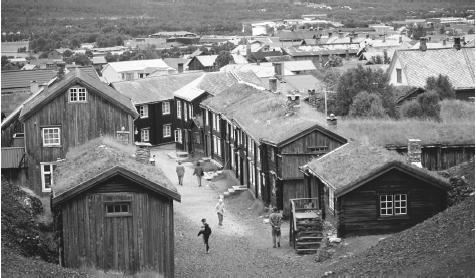 "Restructuring One-Company Towns: The Norwegian Context and the Case of Mo I Rana. European Urban and Regional Studies 1 (2): 161–185 1994. Gullestad, Marianne. Kitchen-Table Society, 1984. ——. "Small Facts and Large Issues: The Anthropology of Contemporary Scandinavian Society." Annual Review of Anthropology 18: 71–93, 1989. ——. Gullestad, Marianne. The Art of Social Relations: Essays on Culture, Social Action and Everyday Life in Modern Norway, 1992. ——. Everyday Life Philosophers: Modernity, Morality, and Autobiography in Norway, 1996. Hellevik, Ottar. Nordmenn og det Gode Live: Norsk Monitor 1985–1995, 1996. Hodne, Bjarne. Norsk Nasjonalkultur: En Kulturpolitisk Oversikt, 1995. Hylland, Thomas Eriksen, ed. Flerkulturell forståelse, 1997. Jenssen, Anders Todal. "All That Is Solid melts into Air: Party Identification in Norway." Scandinavian Political Studies 22 (1): 1–27, 1999. ——. 'Jo Mere vi er Sammen, dess Gladere Blir Vi'? Kontakt, Vennskap og Konflikt Mellom Nordmenn og Innvandrere. Tidsskrift for Samfunnsforskning 32 (1): 23–52, 1991. Jonassen, Christen T. Value Systems and Personality in a Western Civilization: Norwegians in Europe and America , 1983. Keil, Anne Cohen, ed. Continuity and Change: Aspects of Contemporary Norway, 1993. Klausen, Arne Martin, ed. Den Norske Væremåten: Antropologisk Søklys påa Norsk Kultur, 1984. Martinson, Floyd. Growing Up in Norway: 800 to 1990, 1992. Rasmussen, Bente, and Tove Hapnes. "Excluding Women from the Technologies of the Future? A Case Study of the Culture of Computer Science." Futures 23 (10): 1107–1119, 1991. Reed, Peter, and David Rothenberg. Wisdom in the Open Air, 1993. Selbyg, Arne. Norway Today: An Introduction to Modern Norwegian Society, 1986. Selle, Per. Frivillige Organisasjonar i Nye Omgjevnader, 1996. Stiles, Deborah, Judith Gibbons, Suzanne Lie, Therese Sand, and Jodie Krull. "'Now I Am Living in Norway': Immigrant Girls Describe Themselves." Cross-Cultural Research 32 (3): 279–298, 1998. Su-Dale, Elizabeth. Culture Shock! Norway, 1995. Sundberg, Jan. "The Enduring Scandinavian Party System." Scandinavian Political Studies 22 (3): 221–241, 1999. Ugland, Thorbjørg Hjelmen. A Sampler of Norway's Folk Costumes, 1996. Vanberg, Bent. Of Norwegian Ways, 1984.
it seems nice and reveals some hidden facts and encouragable for an ambassador. has a nice culture and religion. i would also like to know more on the culture and religion of norway and also some of the human rights violation and the strategies to ammend it. Fascinating information. Thank you for sharing in such a compelling and understandable manner. I visited Oslo nearly 2 years ago and loved the people and history. On a tour, the guide told us of the tradition of Norwegian people voluntarily coming together as a community to complete a task for the common good. Example, cleaning the grounds of Vigeland. She used a word that escapes me, something like "dagnut". Can you let me know what that word is? I love the concept and want to share it out. thank u so much for this information it was really great!a nice country with a good culture and beliefs.i know it has a great expectations to tourists or immigrants in this country.i will share this to my friends and tell more abt it.by the way what are some expectations and do i need to know more about this country?thanks i will wait your reply. Ya over all it was good. But, I believe you forgot to add some knowlege of the Black Metal scene in Norwy. Black metal from Norwy is one of their biggest exports and it deal with a lot of the attitude and tough times in Norway. It list interest of young people and how they express themselves in the Norweigan environment. Black Metal also has popularized Norway over the last couple decades. Voluntary work done by groups of people affiliated with a sportsclub, a neighburhood, a church, or even a single apartment building is quite common, and is called "dugnad". It is considered obligatory, and is a remnant of the agrarian society, strenghtened and maintained by the rebuilding of the country after ww2. In the latter part of the 20. century and into the 21. this tradition seems to be less common, and fever people attend, possibly because of a stronger focus on personal gain following the libertarian econimical policies sweeping the world since Margareth Thatcher and Ronald Reagans time. Re. Black metal: it is true that black metal was "born" in Norway, and the genre is certainly the biggest musical export. However, it is not a major export by any stretch of the imagination. petroleum and petroleum products, machinery and equipment, metals, chemicals, ships, fish (and related products) make up the bulk of exports totalling app. $140 billion (2007), compared to a GDP of app. $250 billion (2007). Black metal is well known outside Norway, but does not have a particularly large following at home. I would like to know more about the area where my Grandfather Hans Christian Adolphsen Hoitomt was born November 14, 1873. I found a reference to Hoitomt Farm at Eidsberg, Ostfold, Norway. I would like to know what type of farm it was, and how big. I have found other pepoles names from 1652 referencing Hoitomt, Eiddsberg, Ostfold, Norway as the birth-place. Thank you for your thoughtful article. I am 1/2 Norwegian by blood and identify primarily with my Norwegian heritage. Thank you for this article. It actially defines many of my family practices here in the United States...volunteerism, conspicuous consumption, and so forth. I visited Oslo a couple of years ago and I loved it. Will return soon. I am so proud of my Norwegian heritage. Thanks so much. oh...I am sure you're familiar with lefse. I make lefse according to my family tradition. However, it is not made with potato...it is sweet with butter and suger. I've heard it is called "cling" (or is it cleng?). Do you know about this? Is this sort of lefse common in a certain region of Norway? Thanks! It should be noted that while many of us are registered as christians in the state church it is only so because of tradition, same with confirmations. Most generations after WW2 are not religious but may express a personal belief in "something greater", ie a belief of deistic or agnostic nature. Most of the population is split between that and atheist. Can you tell me what was the name of the outfit(clothes) worn by norwegian fishermen and adopted by the British Royal Navy during the second world war. I'm asking the same question as no 10. (name of the outfit)Thank you. This is a good source of information on Norway. Awesome! Thank you for the information. My Granfather John(spelled different in Norway) Maurice Sorlie is from the Trondhiem area. He move to the US in 1911 and I am trying learn about the culture, the land the way of life. Thankyou to the people who make this website possible. It has all the information I need for my school project. Thankyou again. what was their family life like if possible please Explain a little better. this is my dream country. i am very eager to go norway. I believe the word you are looking for is "Dugnad". Since I'm planning to apply in aupair in Norway, I wished to prepare myself knowing some of the cultural, traditional, socialization, government policies and languages, the informations about Norway was really helpful to me. But Still I was seeking for the online Basic Norwegian Language Studies through this website. Hope I'll be selected by the Government of Norway to gain the practical knowledge too. Heartly thank you for the fascinating informations and the articles. Very helpful, thanks (: but I think that you should put a lot more on social issues with other countries, I would like to read more on how Norway is involved with world issues, again thanks! hi guys, i am doing a cultural project and i need to know about the people, food, popular festivals, and modern art's like! Intercultrual assigment regarding Max Manus, Norway Nationalism & cultural patterns of Norway. This site helped with social practices that make-up Norway's beliefs, values, and norms. Thank you for sharing. #6 I actually grew up in that area, but I can't remember any farm named Hoitomt (probably Høitomt in Norwegian). I did a search on google maps (høitomt) and it turns out to be a name in this particular part of Norway. Probably where your grandfather is from. It is everyone's right to seek the correct companions for their children. Companions that bring in negative inputs should be kept off. Persons who are at home in Asian/African/South American etc. languages do carry within them codes that can spoil the individuality of a population. They themselves seek to run away from it, but they also carry the same. Do not burden your own children with the companionship of persons who will change them forever, by means of words and usages. What I am saying is an theme that is unknown to most European language speakers. But there is a truth in it. If these words of mine are not heeded, then in years to come, there shall be much violent actions in your nation, as the native citizens try hard to shed themselves of encumbrances that they do not want to be with them. This website is so useful for school projects. This was quite helpful for my project at school, but i cant find the part about there clothing! Its nice to have this kind of webpage which can help to know more facts about norway. This kinda helped me. It was for a school poject, not really what I needed though. thank you so much, i have been interested in this for quite some time, for I am half norwegian, but from USA. I can now have an idea of where my blood line comes from. IT IS A WONDERFUL INTRODUCTION TO ANYONE TRYING TO FORM IDEAS ABOUT THE LIFE AND TIMES OF PEOPLE OF NORWAY , A COUNTRY QUITE BEYOND INDIAN COMPREHENSION. VERY GOOD JOB DONE. I could not find the clothing Norwegian's wear daily and that was what I was looking for specifically, so that was an upset, but the information is very helpful and educational. Thank you. You have much good information about Norway :-) Good work! I`m Norwegian and I wanted to add a little to the modern Norwegian life here. I got a message that I have one bad language word and can not get it posted. I can´t find a bad word though. So I have to give up to post it. However if anyone here have questions about Norway I can try help you if you send me an email. I can`t promis I have the answer about everything, but I will do my best. I have Norwegian heritage - on my Grandfather's side - this provided very interesting reading. Thank you. thingi really liked this add it had good text and everything! Help in this regard would be appreciated. i love this because its info is really good. it could use a bit more schooling info though. I love the content and it's really helpful in my schoolproject work. A friend told me there is a special Norwegian tradition for celebrating 80th birthdays. My great-grandmother was from Norway. I visited Norway a few years ago. I'll be celebrating my 80th birthday in a couple of years and would like to know what, if anything, is special about the Norwegian celebration. What about food? I need a lot of information can anyone help me? Thanks for the information it is very useful, I wanna visit norway but I don't know anyone there and in visit visa the are asking for invitation letter from any norwegian person who lives there. Now how can I come visit norway, could anyone suggest any idea..
Bergen accents can be "posh" also. Depends on "social staus" not specific dialect. Norwegians do not have an extended adolescence.. In fact, they are much more responsible and independent than children in other cultures (i.e. American) and often start out on an independent life at 18. They are referred to as "students" for an extended time. This part of your report needs to be better researched and updated to reflect this. i love this site it has like all the facts you need to make a letter,esay and report! For home schooling my grandma told me to do a reserch report on norway and i think i have most of my information if not most of it all of it and i haven't even read half of it.This site is the best i will use it for all my reserch reports.LOVE THIS SITE. This was very informative and absolute wonderful read. Thanks, i'll come back to this later once again. Thank you so much! This article greatly helped in my research. I would like to know more about everyday Norwegian wages though. If there is ever a day I need to refer somebody to Norwegian anything, the first place I'd tell them to look is here! Hello my mothers family name was Nyberg and she came from Norway but I have no idea where from. She remembers going to England in the war to escape the Germans in a fishing boat and remembers living in a big house, I think there were at least 10 children.My mums name was Joan Nyberg born in 1932, but I don't kno which town. How do I find out.They do have a coat of Arms but I don't know what it is or how to find this. it is very helpful to me to know about norway.if I get to chance to visit norway I will try to do something. Helpful To me, but mainly I needed the part were it said clothes. I didn't find anything about that. This article was very helpful. It was nice to learn about my heritage. I'm doing a project about Norway and gives me more general information than the other sites I've tried! love the history of norway and also love the country too. this info is really good! I'm gonna use it for my project!